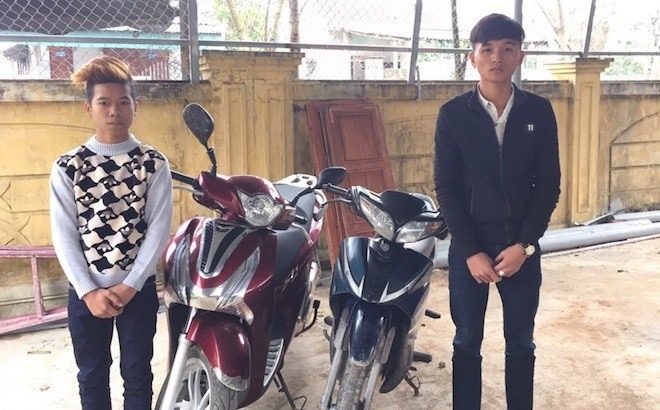 Two teenagers recently broke into a house in central province of Hà Tĩnh and stole two motorbikes, a Yamaha and a Honda SH. There was a hitch, though. They could start the Yamaha bike, but not the Honda SH, because it had a smart lock that the thieves could not pick. Loath to leave the more valuable bike behind, they tied an iron chain to the Honda and maneuvered it on to the road, and made their escape, one riding the Yamaha and the other managing the Honda SH, presumably holding one end up and running it on one wheel. This was not an easy task, and after about 60km, the young thieves ran out of steam. Tired and stressed, they gave up and left the Honda SH at the side of a local road and proceeded on the Yamaha to Hà Nội, where they sold the bike and entertained themselves.